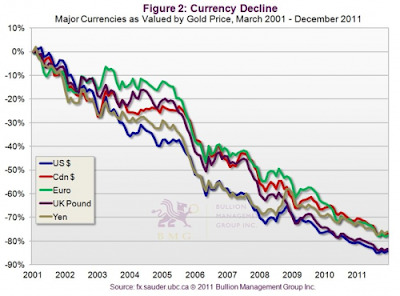 The US Dollar, Canadian Dollar, Euro, UK Pound, and Yen (the big 5) priced in gold since 2000. This is how a global fiat (paper backed by nothing) money devaluation works. Slow and steady as each ship sinks into the sea. When they all move down together it is much more difficult to observe it happening around you. Last week I spent some time discussing the NAV in certain precious metal funds. I specifically focused in on the PSLV (Sprott's Physical Silver Trust), which purchases and holds exclusively physical silver. The trust last week reached a record high 32% premium over the spot price of silver. I threw up the caution flag, noting that investors should look at other options such as the Central Fund Of Canada, which at the time had a premium of less than 1% (has moved up to a 3.6% premium as of this writing). After announcing his next silver purchase this week, the PSLV's premium has fallen to only 12%, and the fund is down close to 9% today. While Sprott's massive silver purchase (estimated at close to $300 million) is great for silver investors in general, it hurt those in the PSLV (in the short term) as the premium fell significantly. I will do my best moving forward to continue watching these funds and helping you navigate how to move your capital to receive the best return. A recurring question in the financial world is, "if the Fed is printing so much money why do we not yet see significantly higher prices?" 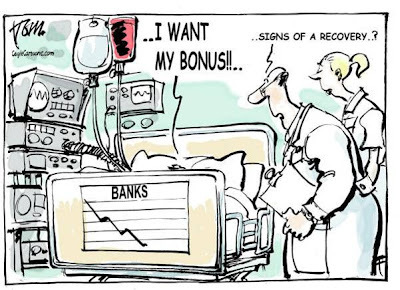 In our country we have what is known as a zombie banking system, a topic I have discussed repeatedly in the past. In 2008 our largest banks became insolvent. They still exist today but only as lifeless shells. They do not make loans to small businesses, home owners, or students to create economic growth. Since the financial crisis began the Federal Reserve has pumped $1.8 trillion into the financial system with freshly printed cash. 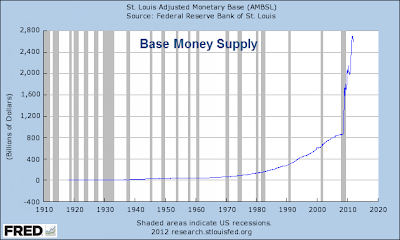 This vertical growth can be seen in the chart below (chart from the Federal Reserve). In a normal environment the banks would take this cash and lend it out into the market. Lending to homeowners, commercial real estate investors, or small businesses allows banks to generate a high return on their capital (they can charge higher interest). This has not happened. 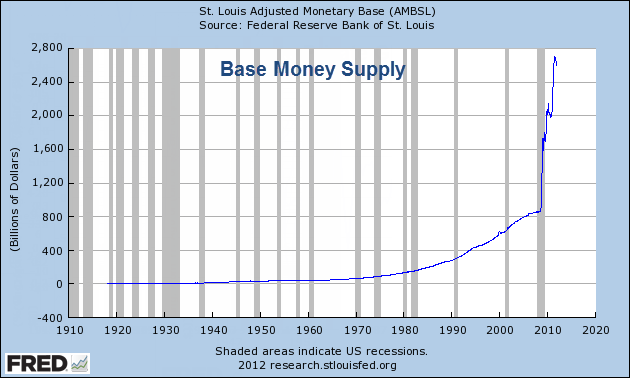 The banks have taken the cash and immediately parked it at the Federal Reserve. 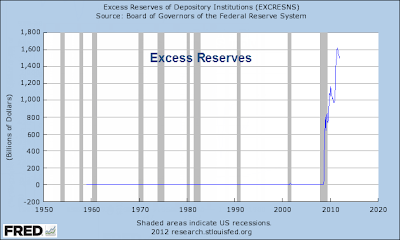 This can be seen in the chart below, which mirrors the first chart, showing bank reserves held at the Federal Reserve. I'll provide a simple example on how this circular motion works. A large bank, known as a primary dealer, purchases a treasury bond from the US government at a weekly auction. The Federal Reserve then purchases this bond from the primary dealer with printed money (Quantitative Easing). The large bank (primary dealer) then takes that printed cash and parks it back at the Federal Reserve (instead of lending it into the market). The banks have $1.6 trillion sitting in cash at the Federal Reserve which could be lent out at many multiples of that through fractional reserve banking. For example, if the banks were not zombies but real financial institutions, they could lend out at least ten times that amount creating a surge in credit and money supply in our country. 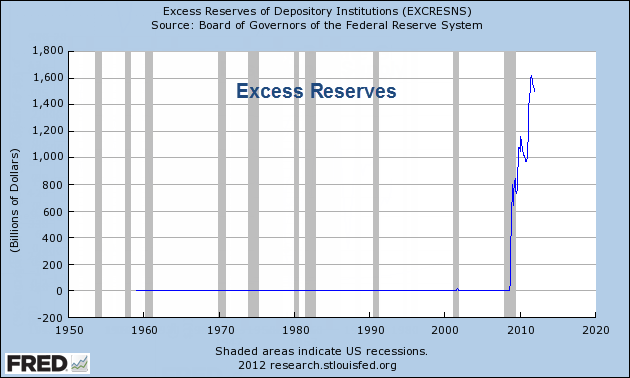 The $1.6 trillion they hold at the Federal Reserve pays them $4 billion per year in interest. This money pays for large bank bonuses and CEO salaries, who take the free cash and keep it away from American businesses who desperately need it to grow and create jobs. Are you hopeful that this will soon change with our coming election? The following shows the top campaign contributions to front runner Mitt Romney. We know the Obama admistration is fully owned and paid for by our zombie banking system, the only hope was that a newcomer could provide a change. Four more years of zombie banking and massive bonus pay have already been purchased and paid for no matter what the outcome is in November. If there is no money being lent from our banking system you are probable wondering how Americans are still able to get a student loan or obtain a mortgage. Who is doing this lending? It is our wonderful government. Yes, with a zombie banking system in place, it is tax payers who must lend to each other with their own money. This is how total money and credit growth is still rising as bank lending has disappeared. Our government has no money, it is given to them by tax payers and the shortfall is borrowed from foreigners around the world. This will end, just as it has in Europe and just as it soon will in Japan. Then the cost of "saving" every American during the crisis of 2008 will be crystal clear. While the American stock market has been essentially asleep to start the year, rising slowly day after day, the tremors taking place under the surface in Europe have been massive. The markets received word after the close on Friday that France had been downgraded by S&P, losing their AAA rating (down to AA+). 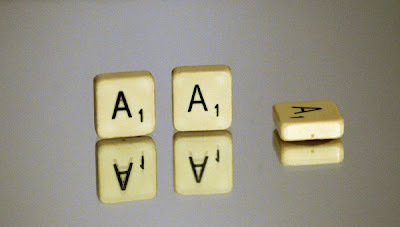 Today S&P downgraded the EFSF, the highly touted European bailout fund, from AAA down to AA+. Why does this matter? Let me backtrack for a moment. The EFSF was put together last fall during the peak (so far) of the Eurozone anxiety. They needed something quick to calm the markets because the yields on Italian and Spanish debt were moving upward past the deadly 7% market. The EFSF is essentially a large bailout fund that all the members of the European Union contribute to. They put money into a large pot, and that pot then goes out and buys European government debt. Does it sound ridiculous? That's because it is. By combining funds together they were hoping to then package these bonds and re-sell them out into the market with the bailout fund standing behind their value. Selling through the EFSF allowed the debt to be sold as AAA. 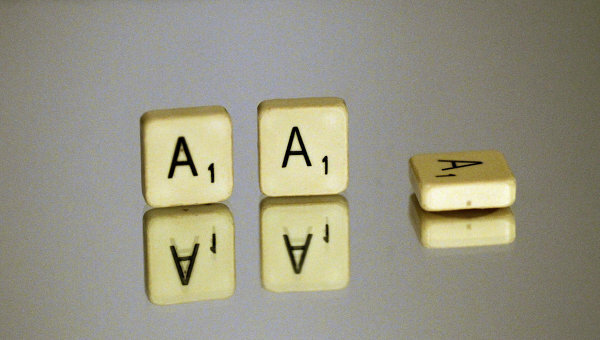 Many large institutions, pension funds, insurance companies, and sovereign wealth funds purchase exclusively AAA rated investments. Their hope was that this would make the market larger for the toxic bonds. The problem is that the market lived through this exact same scenario back in 2008 when our banks tried to create "SIV's" that would purchase toxic subprime loans and re-sell them as AAA debt. Anyone who reached out to buy the debt was stepping in front of an oncoming train. 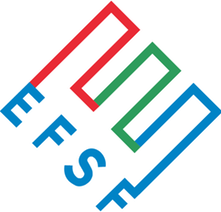 The EFSF was dead on arrival, and the downgrade of France (the second major pillar of the bailout fund alongside Germany) and the subsequent EFSF downgrade has put the nail in the coffin. Rumors are swirling that a Greek default is imminent as their next tranche of the bailout package is running into trouble in negotiations. As I discussed in detail in the 2012 Outlook, their austerity programs only reduce their tax inflows creating a downward spiraling effect on the entire economy. The bond market is dumping all Greek debt. 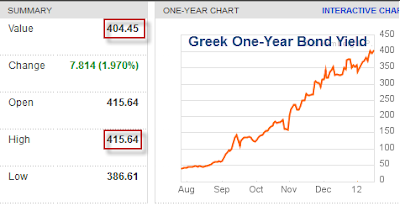 The 1 year Greek government bond crossed 415% this afternoon. The citizens of the country are removing money from the banking system at a rapid clip, and the dwindling deposits are creating a modern day electronic bank run. The house is already on fire. Now we must sit back and determine how the fire will spread through the financial system. Portugal yields are soaring today as the contagion spreads. Meanwhile the American stock market continues to levitate higher day after day seeing only blue skies ahead. Market sentiment indicators are now bullish across the board and some are at multi-month highs. If these indicators and the market continue to trend higher it will be setting up a tremendous short opportunity for readily available cash.